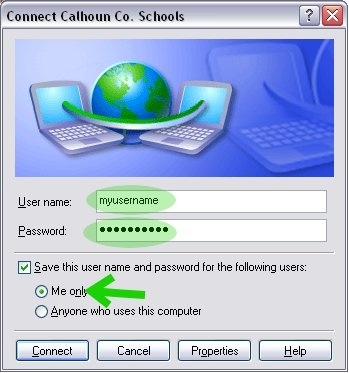 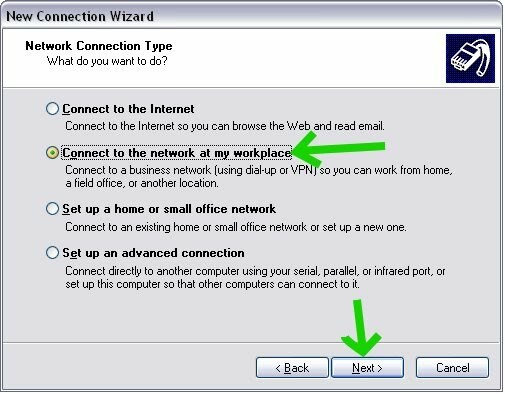 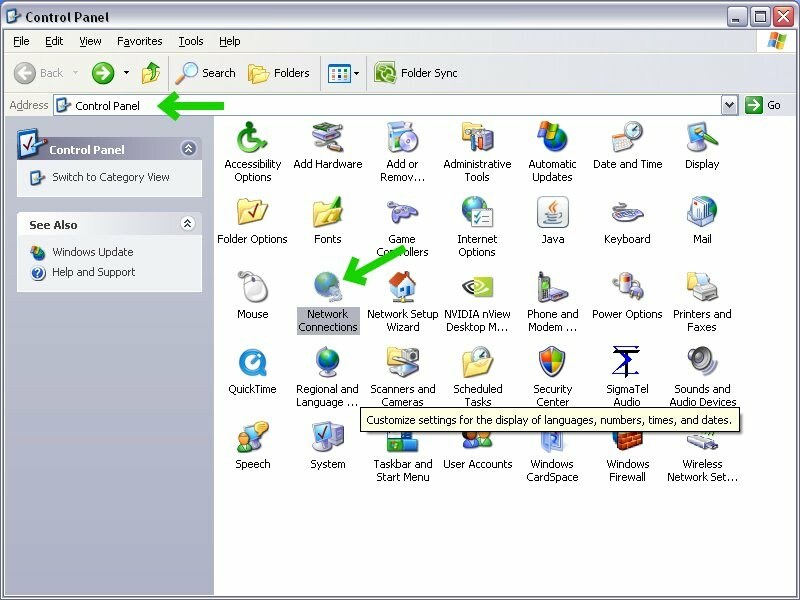 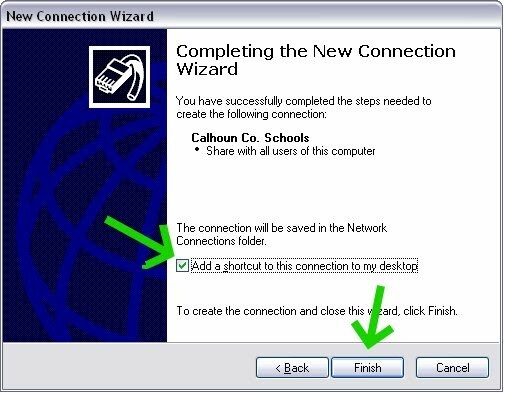 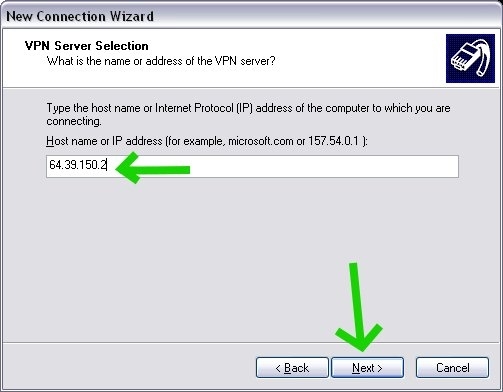 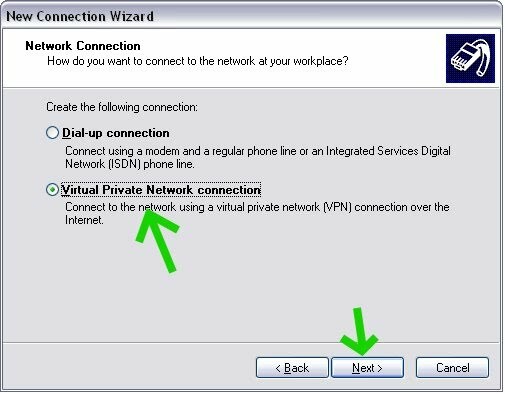 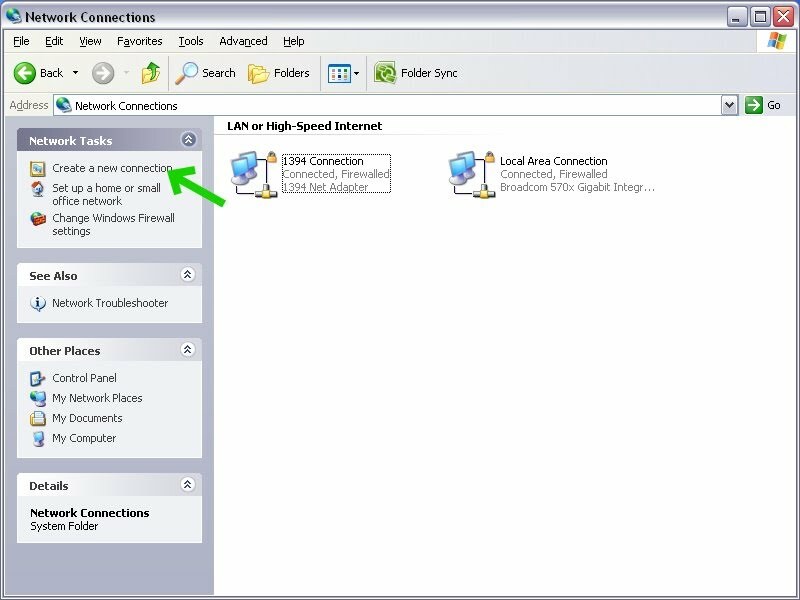 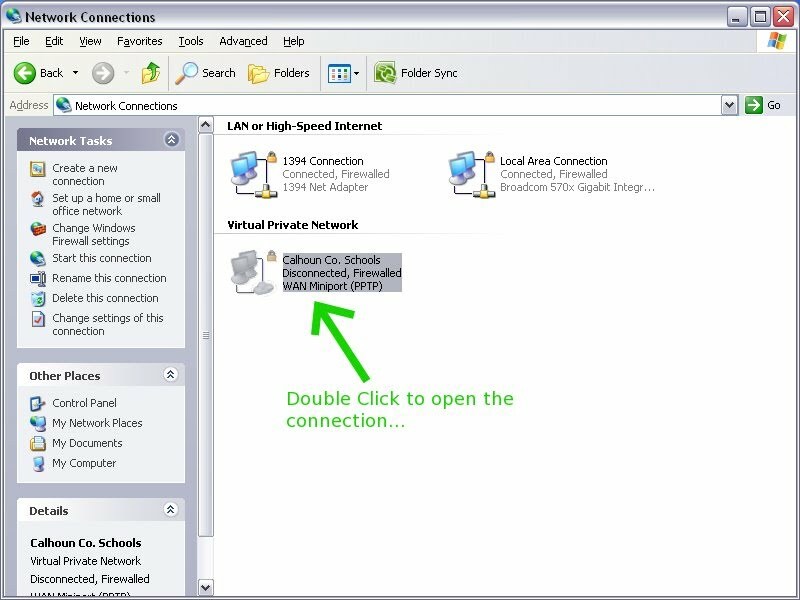 Step 1: Go to the control panel, and open "Network Connections"
Step 2: Click "Create new connection"
Step 10: DOUBLE click the connection "Calhoun Co. Schools"
Step 11: Type your username and password, check the boxes below and then press "connect" to be connected to the schools network! 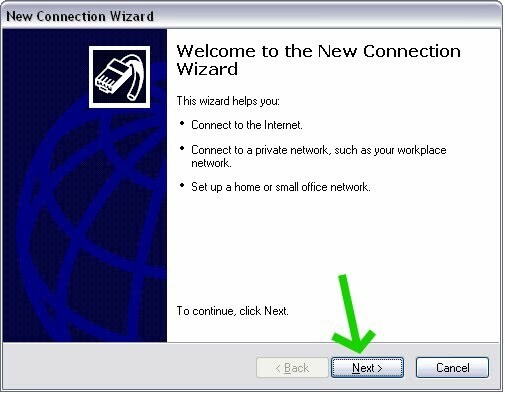 For help, please email support@sgrita.net or call 866.606.7103 opt. 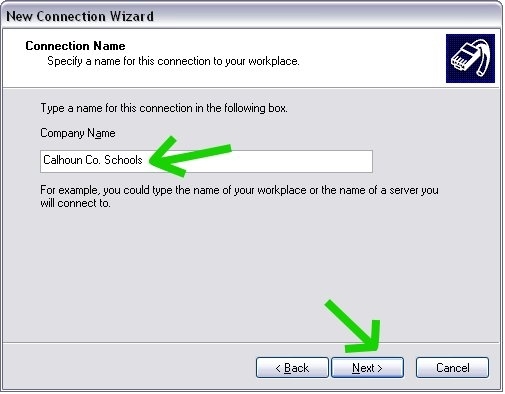 4 for support.